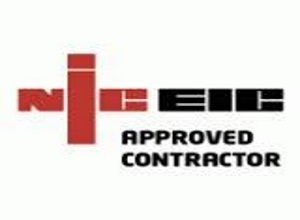 Introducing the comprehensive ICEE Plan, created by North Electrics Ltd, a family owned company with over 10+ years of qualified experience and customer satisfaction! 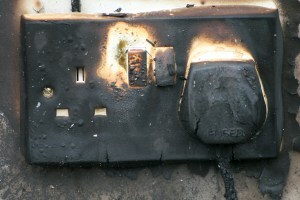 ………………………..
DID YOU KNOW THAT MOST HOMES IN THE UK ARE RARELY INSPECTED FOR FAULTY WIRING? This leads to more than 750 serious accidents and over 12,500 fires in homes…every single year. When you don’t have an electrical plan in place, you’re not only putting your home at risk, you’re putting the life of you and your family in serious danger. There’s a better and a smarter way to be safe from electrical dangers in your own home or property and have the calming reassurance of true safety that you deserve. We have developed the most comprehensive and simple solution to make sure you and your family are safe in your home. We do this by removing and guarding against any potential electrical problems that may be hidden in your own home or property. OUR PLAN IS SIMPLY CALLED THE ICEE PLAN (IN CASE OF ELECTRICAL EMERGENCY). 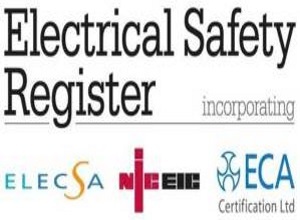 This plan has been carefully designed to meet the strict demands and needs of householders JUST LIKE YOURSELF who want solid protection in the event of electrical wiring issues in your home or rental property. Our plan covers repairs of your electrical wiring system, fixtures, light switches, wall sockets and more! PARTS AND LABOUR: All parts and labor are included for fitting standard replacement parts. This includes all fittings unless you decide to provide an alternative. VISUAL INSPECTION Worth £72: We’ll carry out a comprehensive and thorough Visual inspection of your property and provide you with a detailed report once a year in your agreement. PERIODIC INSPECTION Worth £180: We’ll carry out a full Periodic inspection of your property and provide you with a detailed report once every 5 years in your agreement. ACCIDENTAL DAMAGE – ELECTRICAL WIRING: We’ll repair all accidental damage to the electrical wiring inside your home or property. Parts and labour will be limited to £150 for each occurrence. Making good is to a bonding coat only. ACCIDENTAL DAMAGE – PERSONAL: If you accidentally cause damage to any of your light switches, sockets, or local isolators, we will replace them with our standard (white plastic) replacement parts at no cost to you, unless you supply an alternative. NO EXCESS TO PAY – Unlike most plans, there is no excess payment hidden in the small print. What we don’t cover in our plan: As you may know, there is no single plan that can cover absolutely everything. And ours is no exception. OUT BUILDINGS: Any structure that is separate to the main body of the dwelling. GARDEN: Power supply’s and lighting within gardens, including water features. OMITTED OR ADVISED: Any area’s omitted following the initial inspection. APPLIANCES: No household appliance is covered under this agreement. HEATING CONTROLS: Nothing associated with your boiler heating controls. – Our #1 Mission For You – To provide you with the highest quality electrical service to keep you safe each and every year! Here’s how the ICEE Plan will work for you in 7 easy steps! *Please note, only properties within a 20 mile radius of TS19 8RG are eligible to join The ICEE Plan.